Home › BaviPower Viking Blog › Were All Vikings Warriors? When it comes to the word "Vikings", what pops up in many heads might be the image of bearded and savage warriors who sailed and raided. However, was that the whole picture of the Viking life or was it just the exaggeration like the Viking horned helmets? In fact, the answer was, no, it was not. Some Vikings were the warriors but the majority of them were just ordinary farmers. 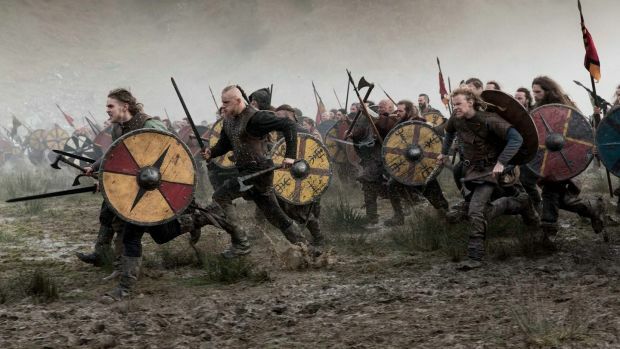 The Vikings were not so much alike to what many TV series and movies might depict today. They were normal people who led the very peaceful life. Traditionally, any Viking would have an axe within their hands since their childhood. But the main purpose of this was for them to work on the farm or to hunt. The Vikings would join the army if they wished to improve their wealth and fame. The ordinary Vikings would train themselves and take up many physical examinations before they got admitted into the army. But as mentioned above, the majority of the Vikings were still the farmers. The daily tasks for the Viking farmers were divided by genders. While many Viking woman lived their life within the threshold, the Viking men would do the tasks which required much more physical strength taking place out of the threshold. To be specific, the Viking women bore the responsibility to cook, clean, and support the whole families when their husbands were away. It was deeply ingrained into the Viking mindset that the women must know household stuff like cooking or brewing. Not only did the Viking women have to prepare the food for their families but also for the cattle that they raised, especially for the winter. Meanwhile, the Viking men would bear the responsibility of doing other tasks that were physically demanded. For example, they would have to work on farms such as plowing, sowing, or harvesting. Sometimes they would have their cattle done the heavy tasks like plowing. Or they even went on hunting or fishing sometimes. The daily life of the Vikings just went on like that. They were born and raised just like any other people from the other regions. When they came to the marriage age, their families, particularly their mothers, would find and arrange for them a marriage. Then they would live their life as normal as such. That is to say, the Vikings were not one-hundred percent the mighty warriors who were only remembered for their brutal raids.